Email marketing is an incredible channel to reach new potential clients and also a great way to maximize existing client engagement. Being a modern marketer, you wear a lot of caps and are liable for many moving parts of your marketing mix. It’s simple for your email marketing data to become mixed up in all the metrics and KPI’s you need to watch out for. But how would you measure the efficiency of a marketing campaign? Measurement is the way to showing success. Therefore it is an essential requirement of the job role to measure success of a campaign. 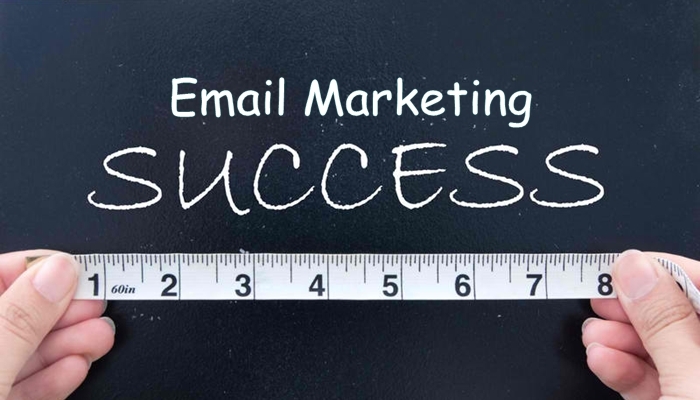 In this post, we are sharing 6 email marketing metrics you must be follow in order to measure campaign’s success. This is one of the most necessary metrics, but it’s usually misjudged. Not we all understands what makes a “good” delivery rate. A few companies will even make it an organizational goal to increase deliverability. A good delivery rate is usually around 97%. If an organization lets you know they can get you a 100% delivery rate, they are not being upfront and truthful with you. In case you’re below, say, 90%, you must dig in and solve possible basic issues with your provider or list. That’s why, always choose a reliable email marketing system and get yourself trained before some big campaign. How many and which links were clicked? Make use of this metric to decide the amount of action every message creates, which types and what placement of links drive more activity and also how your supporters are appealing. Test calls-to-action by looking at navigate rates for different messages. A special bonus: You can segment your list and customize content for clickers and non-clickers. Focus on the non-clickers with better offers; give your loyal clickers extra related content. Your email has been effectively delivered, you convinced the viewer to click, and now you need to know whether they made the next step and really purchased something, which is known as Conversion. It’s crucial that you track your conversion rate from email. If you’re offering a product or service you can quickly calculate the ROI considering its conversion rate. A balanced conversion rate is very important to enjoy good return on investment, otherwise the cost will exceed the benefit, killing the entire purpose. Bounce rate measures the percentage of your total emails sent that couldn’t be delivered to the recipient’s inbox. There are two sorts of bounces to track: “hard” bounces and “soft” bounces. Soft bounces are the aftereffect of a temporary issue with a valid email id, for example, a full inbox or some issue with the recipient’s server. The recipient’s server may hold these emails for delivery once the issue clears up, or you may try re-sending your email message to soft bounces. Sometimes it happens that your email marketing efforts may annoy some of your subscribers. That might be because of their mismatched expectations from you. They may think that you are sending too many emails or they might have a change in behavior. All these may happen and all of them are valid. If you notice that the rate of your unsubscribing is climbing, this may be the right time to evaluate the email messages you are sending and it distribution frequency. This is because these are the two most common reasons people unsubscribe from your list. The only way to track is to track your unsubscribe rate and look into it when necessary. Whatsoever marketing channel you are using, you should always be able to determine the overall ROI of your email marketing campaigns. But if you still are not doing so, set up an SLA system where you can assign different values to multiple types of leads, depending on their choices to generate revenue for your business. Looking at different campaigns, set up their costs vs benefit cards. It must help you measure the overall investment cost of a particular campaign and show if that investment was good or not. In addition, you must determine the type of posts/campaigns that perform well, the audience that seems more interested, and the subscribers’ list that is more responsive. This will help in identifying less efficient channels and so that you could put more focus and energy on more effective means and remove less successful channels. To receive regular updates of the blog and other announcement by Makesbridge, please follow us on Twitter, Facebook and LinkedIn. How to Warm Up Your IP Addresses for B2C Email Marketing?